There is a good article in the October issue of Golf Digest magazine that should be helpful to Cape Region golfers. The cover story, “How Good Can You Get?,” is by Hank Haney, the well-known golf teacher. Haney has a long and successful history of working with the top professionals in the game, including his currently most famous student, Tiger Woods. He’s also starring in a new series on The Golf Channel, a reality show about a golf-focused high school on Hilton Head Island, South Carolina. For this article, however, Haney’s advice is addressed to four distinct groups of golfers, for four different parts of the game. He describes the average statistical results for how golfers drive the ball, make greens in regulation, scramble for par, and putt. Then he breaks down the stats for each category, and shows what kind of performance to expect if you are on the tour, a scratch golfer, a 10-handicapper, or a 20-handicapper. These performance variations can be a bit startling. According to Haney, a Tour pro averages 286 yards off the tee, hits 62% of the greens in regulation, scrambles for par from off the green 56% of the time, and has a dreaded three-putt hole only 3.2 times out of 100. In stark contrast, a 20-handicapper averages 190 yards in driving, is lucky to make 22% of the greens in regulation, scrambles for par from off the green at less than half the rate of the pros, and three-putts four times as often as the touring professionals. Haney then describes how golfers in each handicap category can improve in each part of these four critical scoring elements. Based on what I’ve seen among Cape Region golfers, real improvement for the higher-handicappers among us should begin on and around the green. Let’s face it. Many members of the local golfing community are not exactly spring chickens. The only way some of us can add 30-50 yards to our average drives is if the golf ball bounces off a fairway sprinkler head–sometimes twice. It’s a lot easier for these golfers to work on chipping and putting, where some practice and a confident attitude can cut several strokes off their game. To see where you could improve, keep track of your performance statistics, but don’t focus on these results until you have at least ten rounds’ results to compute a rough average. It’s easy to do. I put a tick mark in the upper left corner of the scoring boxes for a fairway hit, and a similar mark in the upper right corner for each green in regulation. I use the bottom left corner to note any bunker shots or penalty strokes, and the bottom right corner to keep track of my putts, once on the green. If you keep in mind while playing a round the playing statistics that Haney describes, along with your current handicap, it can also help lower your scores. That’s because a realistic attitude about your actual playing ability can help you relax, and not worry so much about a particular shot or hole. For example, I treat the 431-yard par-four 18th hole at Shawnee Country Club as a short par-five. I can’t usually drive my tee shot inside the 200 yard marker, and so my second shot is most often a lay-up to about 100 yards out. 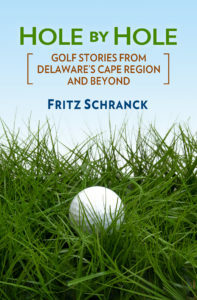 If I hit a good wedge, I have a chance for par, but a two-putt bogey is the more likely score. With my 17 handicap, and with this hole being the course’s most difficult challenge, that’s what I should reasonably expect. And that’s okay. For golfers like me, the par 3s are where I should focus on making par, to offset the occasional double bogey I might make on the long par-fours.